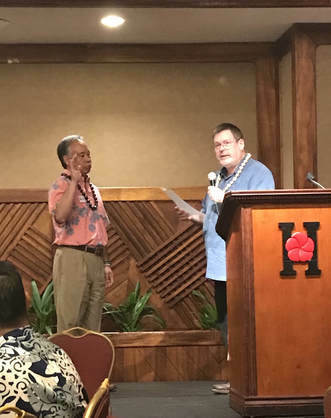 At the KBA Annual Dinner in June, Howard Dicus administered the oath of office to incoming co-chair, Gary Yoshioka. Gary and Mark Ibarra will provide leadership for KBA for 2018 – 2019. Gary Yoshioka is President of Diamond Bakery. 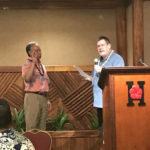 Mark Ibarra is President of Edwards Enterprises, Inc.